What did you do with your weekend? Four thousand children in South Korea have a great answer to that question. They were picked to help build the tallest Lego tower in history, using a half a million Lego bricks. 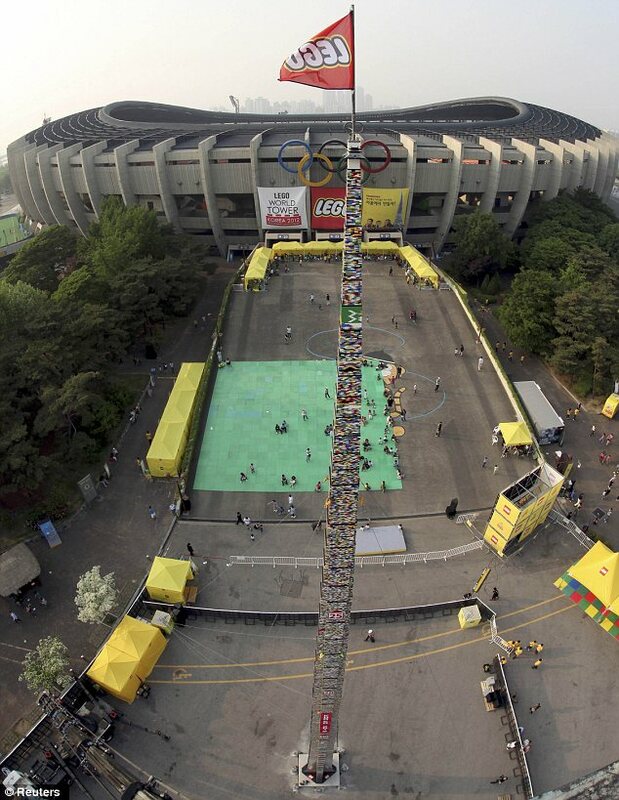 The 105-foot tower was constructed at the Olympic Stadium in Seoul, to mark the 80th birthday of the colorful brick that is found in millions of households worldwide. Maybe you should think about planning a neighborhood build next weekend, just to see how high you could go. ← Survivor iPod Touch Case: Rugged, Yes, But Kid Friendly? Not So Much.